I have been part of Temwa since November 2016. As the Programmes Manager, I supervise all of Temwa’s programmes and make sure Temwa achieves the set programme objectives. I take the lead in facilitating the programme design and implementation with the team that I coach and mentor. My passion is to contribute towards improving people’s livelihoods, especially those who are disadvantaged and poor from the rural areas of Malawi. I have spent most of my time working in rural areas and I understand how tough it is for people to have access to their basic needs, including food, health services, education services and clean water. Temwa builds the capacity of communities in hard-to-reach areas to be self-sufficient; this made me want to be part of the organisation. Agriculture and Forestry. This includes increasing food production at household level (sustainable farming and rabbit breeding), planting trees and forestry management (deforestation exacerbates flooding and extreme weather), raising household income and strengthening local governance at community level for agriculture and forestry. Education. We run an Early Grade Literacy (EGL) project, the Nick Webber Trust secondary school bursary schemes and resource school and community libraries. Health. Temwa supports the community in raising awareness, preventing and responding to HIV/AIDS. Our projects include Mobile Voluntary Counselling and Testing, Teen Clubs and support groups. We also have a pilot Water and Sanitation project. Temwa has chosen to work in vulnerable and remote areas, where community members benefit from our interlinking programmes. For example, we have HIV positive beneficiaries who participate in the health programmes, receive our microfinance and improve their nutrition through our Agriculture and Forestry programme. This holistic approach helps improve their livelihoods. In our Agriculture and Forestry programme, there has been an increase in maize and vegetable production. Maize is a staple food in Malawi and is grown by most people in our catchment area. The majority of households who received 5kg of maize seeds from Temwa have harvested between 150kg and 700kg, an increase on last year’s harvest. Unfortunately, other crops such as beans, soya and Irish potatoes have suffered due to climate shocks and disease attacks. Looking forward to 2018, Temwa plans to strengthen agriculture by providing further training to farmers, extension volunteers and lead farmers in sustainable farming practices. 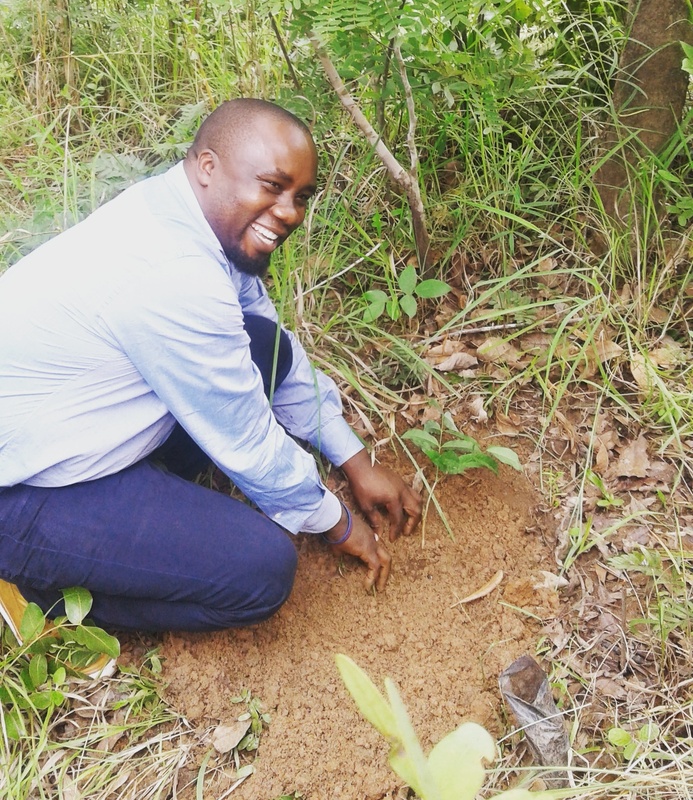 With Temwa’s support, communities made significant progress in environmental conservation, including conserving natural woodlands, and growing more trees in tree nurseries. From June 2016 to June 2017 over 95,491 trees were distributed and planted. We have made considerable strides in our education programme. This year primary school enrolment and retention has improved, with reduced absences; owing to the school library initiative, the Early Grade Literacy and the Spelling Bee activities in Nkhata Bay North. In general there has been an improvement in class performance of our secondary school bursary students, despite significant barriers, such as walking long distances to school, lack of electricity and prevalence of malaria. In 2017 Temwa has renewed its commitment to work with the Nkhata Bay District Health Office on all planned health project activities. This will allow for better coordination and increased technical support from the government. We have strengthened the existing 12 HIV/AIDS support groups, helping them to attain economic independence through Village Savings and Loans activities. Using interactive methods such as drama, poetry and singing we have continued to help schools raise awareness and prevent the spread of HIV and AIDs through our 40 AIDs action clubs, currently running across 40 different schools. Additionally, the promotion of HIV Teen Clubs has increased club membership. Our Water and Sanitation pilot project has seen a reduced number of reported cases of diarrhoea. However, better health governance is still needed, given the area’s remaining health challenges, notably inadequate health facilities, disease outbreaks and HIV and AIDS. My time at Temwa has been very exciting; I have met with inspiring people and I have built my programme team. I look forward to supporting the team through mentorship, coaching and guidance. It has been a learning opportunity building good working relationships with my colleagues from the Temwa UK office and the team here in Malawi. I am looking forward to meeting donors, partners, fellow UK staff, families and trustees when I visit the UK, to provide them with more information about Temwa Malawi programme activities and achievements. I am very proud of my team, they are dedicated and hardworking and we all share the same vision. I fully support them in the implementation of all Temwa’s programmes so that we transform the livelihoods of the people we support in Nkhata Bay North. If you would like to support our project work so that we can help communities flourish, find out how you can give today.